Yesterday, The National Highway Safety Administration (NHTSA) published a noticed titled,” National Survey of Driver Attitudes and Opinions of Advanced In-vehicle Alcohol Detection Systems.” The notice is to inform the public that NHTSA intends to survey 1,000 people across America who have a valid driver’s license on how they feel about in-vehicle alcohol detection technology. The survey will be limited to people over the age of 21. Surveys are typically the first step in the oh-that-is-mandatory-now process. Once NHTSA has views of the public, and depending on those views, they could move to develop testing procedures for alcohol detection system and further into the regulatory process of making it mandatory. According to NHTSA in 2011, 9,878 people were killed in alcohol-impaired-driving crashes (31% of total highway fatalities). In their summary of 2011 highway fatalities NHTSA points out that 21-24-year-olds make up the highest percentage of drivers in fatal crashes with BAC levels of .08+. That number is actually 1% down from the year prior. Yay? What is surprising is that the 16-20 year olds, a group legally not allowed to drink, make up 20% of the drivers in this category. In other words, in 2011 846 drunk teenagers killed people while driving. According to the CDC “people aged 12 to 20 years drink 11% of all alcohol consumed in the United States.” Teens are really throwing 'em back. The graph above provides information regarding prior traffic offenses of drivers involved in fatal accidents. This should help in discussing the concept of limiting alcohol detection devices to drivers who have been previously convicted of a DWI. Also, it's important to remember that drunk driving laws and punishments vary state-by-state. Safety changes to vehicles need public support before they can be mandated. As a member of the public and someone who has zero tolerance for having a few drinks and driving; I support the theory of leveraging technology to make the roads safer. America faced a similar public battle when seatbelts were mandated and discussion arose of ignition lockouts. People screamed it was their right to drive without a seatbelt on. They argued that disabling their vehicle was unjust, un-American and limited man’s pursuit of happiness. I’m sure many of you here embrace the Darwinism approach of seatbelts - every driver is free to be ejected from the vehicle if he or she makes the ignorant choice. Not wearing a seatbelt kills people not wearing seatbelts. 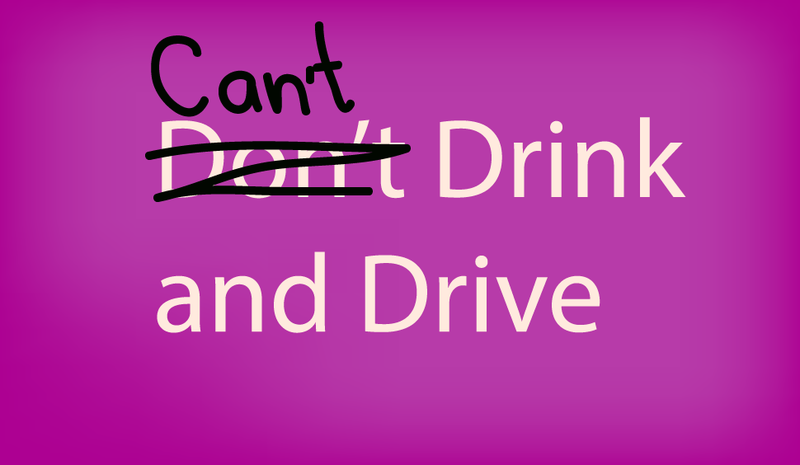 Drinking and driving just kills people, indiscriminately. In a sense drinking and driving is America’s longest mass shooting, just spread out further and more effective. I welcome efforts to reduce alcohol related fatalities that doesn’t involve harsher punishments and more revoked driver’s license. After all a drunk doesn’t need a driver’s license to start a vehicle and drive it head on into a minivan full of children. I’ve lost too many friends to drunk drivers to think otherwise. While I'm not sure how this would work or if I would even support a mandatory system. Either way, it is a discussion we need to have and it is a far more important one than texting and driving.